John & Deirdre have both sailed for over 30 years. In the early days this was mostly racing in dinghies and keelboats. Later they turned to yacht cruising in Scotland, Ireland, UK, France, Spain and in John's case across the Atlantic. They bought 'Lily' their 22ft yacht/keelboat in 2009 to provide sailing tuition for the public on Morecambe Bay. In 2012 they formed Bay Sea School and gained recognition as a sail training centre by the Royal Yachting Association (RYA). The inspiration to do do this came from John's observations at the number of sailing students he taught on the RYA Day Skipper practical courses who hadn't yet learnt how to sail. Like many people on the RYA Sail Cruising courses, they didn't know that the best way to learn to sail is actually on a small boat, not a large cruising yacht. There was a real need to provide the basic dinghy 'learn to sail' courses on a small yacht. Morecambe Bay on the North West coast is an ideal location for this with the added attraction of learning about the tides. In fact Bay Sea School is the only place you can do an RYA learn to sail course on a small yacht on the sea in the whole North of England! Sailing courses start from the house just off the promenade. You'll be on the water sailing most of the time. For the numerous theory courses throughout the year various larger venues in the town are used as required. Directions for the venue for your activity are provided in the Joining Instructions emailed to you upon booking. John is the Training Centre Principal and Chief Instructor at Bay Sea School in Morecambe, on the North West coast. He's a winner of the RYA 'Instructor of the Year' award in recognition of the quality of his teaching. He's a full-time professional Skipper & Yachtmaster Instructor & Examiner in great demand for RYA cruising courses in Scotland. John's also an RYA instructor in many other subjects too. 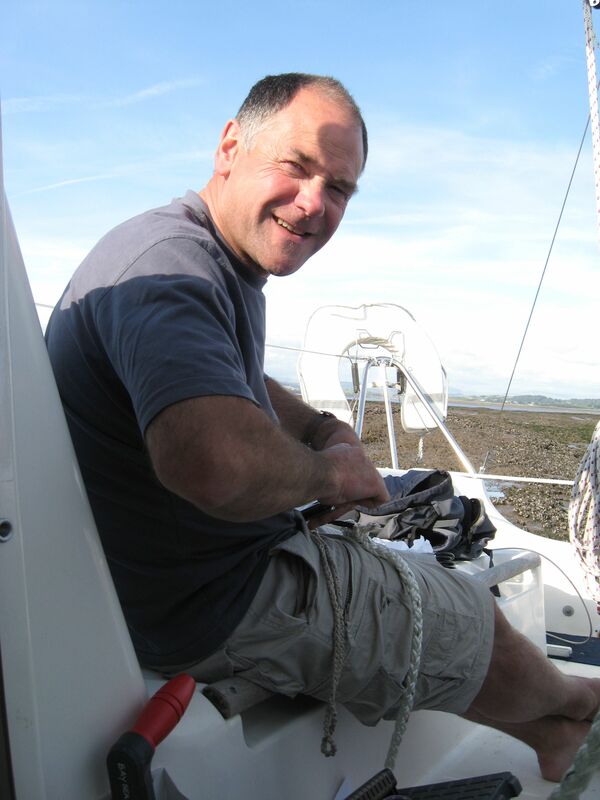 His very broad knowledge covers VHF radio, Diesel engine, Radar, First aid, Essential Navigation & Seamanship, Day Skipper, Yachtmaster Offshore & Ocean, Advanced Powerboat, PPR & as well as qualifying as a Keelboat Senior Instructor. That's a lot of qualifications! Depth of knowledge & experience is what you'll get at Bay Sea School. "...I just wanted to thank you again for giving me such a great time on board. I enjoyed it enormously, learnt a vast amount and thought you had an exceptional ability to teach!.." Deirdre is an internationally trained concert violinist who teaches violin at Chetham's School of Music and the Royal Northern College of Music Junior School in Manchester. She also teaches locally from her home in Morecambe. When the summer sailing season arrives she transfers her 30 plus years of teaching experience to keelboat sailing courses on Morecambe Bay. 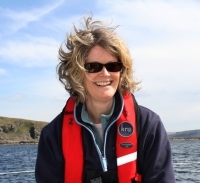 She's a RYA Dinghy Instructor, Keelboat Instructor, Shorebased Instructor & VHF Radio Assessor. She has a Yachtmaster Offshore Certificate of Competence and works for other companies as a commercial skipper. Why choose Bay Sea School?